中国真的是唯一一个延续至今的古老文明吗？还是说只是中国人自己这么认为？ [美国媒体] Is it true that China is the only ancient civilization that continues to this day? Or is it only recognized by Chinese themselves? Is it true that China is the only ancient civilization that continues to this day? Or is it only recognized by Chinese themselves? No this is not true. I think you misunderstand. What the Chinese said is: “China is the only ancient civilization that still existing today among the four Great ancient civilizations(Egypt, Babylone, India and China). And it is kinda true. Egypt civilization ended thousand years ago, and Babylone was invaded and destroyed several times in history. Their language extincted and religions lost. Indian civilization was preserved better than the other two, but still experienced the Muslim and British colonization. As for China, what make them think the civilization is preserved is the language, the writing system Hanzi, the confucism, Taoism and buddism(came from india but it later became an important part of China cultures) are pretty much still practising and using by the Chinese today. Although China has undergone countless cultural disasters such as Mongolian invasion, Manchurain qing’s rule, Opium Wars, Japanese war and cultural revolution. But the amazing part is that the civilization did not fade away completely like Egypt and Babylone(respect for those who sacrificed their lives to guard the ancient cultures). The Chinese have their reason to be proud of their ancient civilization, it experienced countless hardship and was almost near extinction for quite a few times, but at the end, the spirit is still there and it will never die. A civilisation could be conquered by others, but itself will keep continuing if the language and the people continued thriving. The Chinese civilisation has a significant difference with other ones, that the language system has never been interrupted, with a very clearly traceable path of language evolution, and any educated young Chinese in high school can read poems and articles from 2500 years ago, if he or she has studied some calligraphy, characters from 3000 years ago or even oracle bones are of no problems. 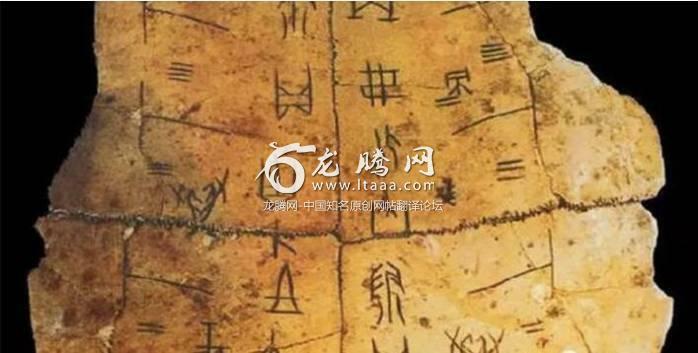 Scholar Luo Zhenyu and Wang Guowei collected over 30,000 oracle bones and published several volumes, identified the names of the Shang kings, and thus positively identified the oracle bones as being artifacts from the Shang reign. In addition, the Shang’s record of solar eclipses matches modern astronomy calculations. Later historical records of China were proved by much more archaeological evidences.